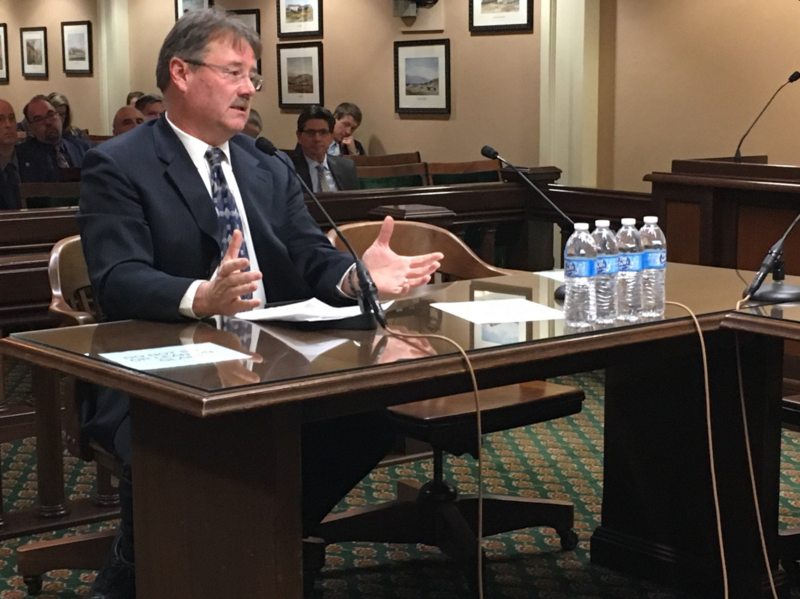 In response to California's growing tree mortality crisis, the Little Hoover Commission held a public hearing on California Forest Management yesterday (January 26) at the state capital in Sacramento. Professor Scott Stephens, a fire scientist in the department of environmental science, policy, and management, delivered the opening remarks. He provided background on the causes and magnitude of tree losses happening across the state. "Our forests are not in a resilient condition," he said. "Past management actions, including fire suppression and logging focused on large trees have produced forests today that are much more vulnerable to fire and drought-related mortality." Stephens made suggestions for legislation, policy, and forest management techniques that could help restore resilience to California’s forest ecosystems and prevent future mortality crises. He also offered ideas on how the state could better work with private landowners as well as the federal government to promote healthier forests. Read Professor Stephens' complete testimony, as well as the those of others who spoke at the meeting, on the Little Hoover Commission's website.